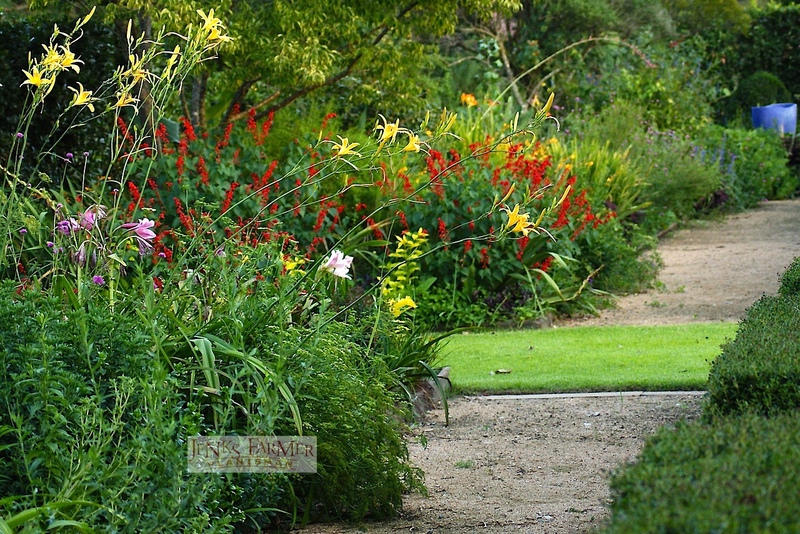 A stunning, golden day lily that grows to a height of five feet. 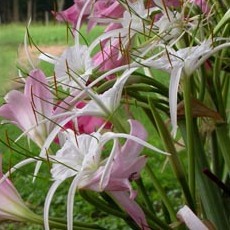 It looks surprisingly elegant as a combination with burgundy crinum lilies such as ‘Bradley’. And it’s brilliant with red Texas Star Hibiscus. This is an old (1950s) day lily. 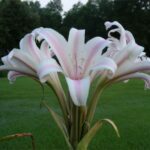 It’s a bit “out of style” in day lily terms, which means it is rarely available. Growing Conditions: This plant needs both full sun and normal garden soil. This old hybrid is tough. 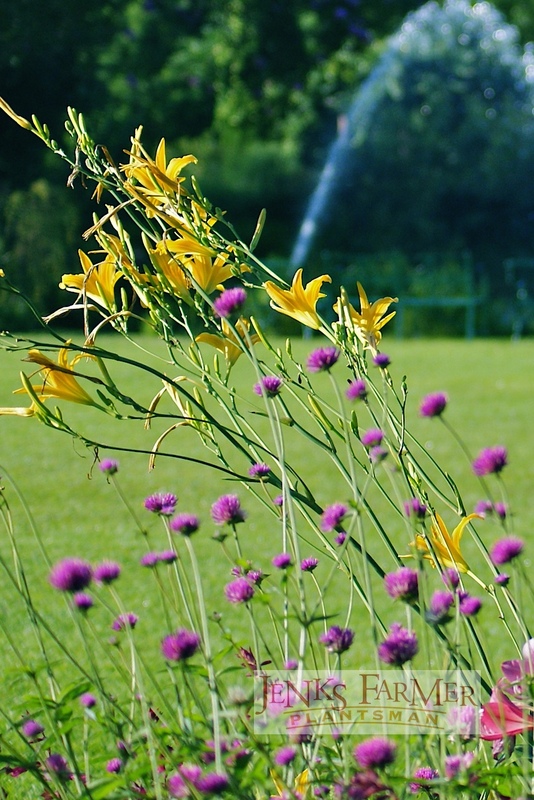 Flowers: They grow on stalks that measure on average 66 inches in height. Each stem yields dozens of golden trumpets. Flowering Season: Autumn Minaret blooms late for day lilies, though not quite – as their name implies – in autumn. We normally see blooms in late July in Zone 8. Leaves: These leaves are slender and they have a length of 18 inches. They grow from late March until mid November (Zone 8). How To Plant: Plant at a depth of four to five inches. 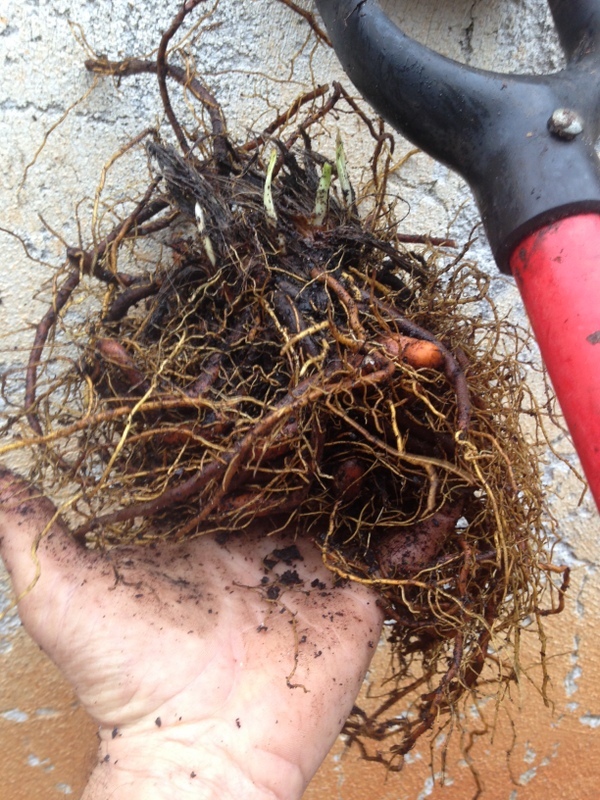 Be sure to spread out the tubers and roots so they’re flat. 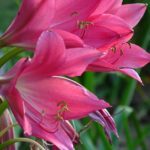 Where To Plant: Autumn Minaret looks fabulous when mixed with rich pink and burgundy crinums such as Ellen B or anything purple. Our Bulbs: We ship large clumps as pictured. This plant spreads well and is easy to divide after one summer. 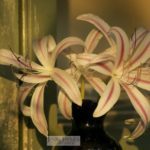 Be the first to review “Day Lily ‘Autumn Minaret’” Click here to cancel reply.